3D printing is this amazing technology that will give you the title of an active creator. You can take anything you have ever imagined from the digital world and transform it into a physical product. 3D printers have come a long way from being a reserve for industries to now being available to average consumers at incredible prices. Now you don’t need to invest thousands of dollars in a 3D printer. With under $1000 you can own a highly functional and practical 3D printer. The market does not make it easy when buying a 3D printer since this is still a developing technology. So much can be done so you don’t want to limit yourself, but on a budget, you will have to contend with FDM and SLA models with single and dual extrusions. We have researched the top performing 3D printers to bring you brands that prove to be ideal and not cheaply made products from questionable manufacturers. At the $1000 price range, you are looking at FDM (Fused Deposition Modeling) printers and laser engraving SLA models. An FDM 3D printer uses an additive process to print the object. It uses readily available filaments that are cheap.Note that filaments will consume a lot of money that is why FDM is appealing.You can use this type of printer while building a prototype product or when creating teaching material in a class.The advantages of an FDM printer lie in the fact that they are easy to configure, use, and are not very messy. They print in 100-500 micron which is thin to produce smooth objects. This machine works using a laser beam and photosensitive liquid resin. When the liquid resin is exposed to the laser beam, it starts to solidify to create the first layer. After it begins to harden, the machine then steps the single layer thickness, and the laser beam starts to form another layer. This is the printing material that you will use with your 3D printer. Most FDM printers use PLA, Glow in the Dark, TPU, ABS, and wood. You may need to consider a model that can print with different materials so that you can produce different textures and products instead of being restricted to a particular material. Where do you plan to use the printer and what is the size of the heated bed? Your heated bed should accommodate the size of the object that you plan to print. This is because if you buy a printer with a heated bed that does not support most of your products, you will end up using a 3D printing service. It is not a wonder to find a DIY printer that needs assembling from scratch. This is because they are designed for creative designers that don’t mind tinkering with the parts to assemble the printer. But it is usually a lot of work, so you are better off with a 3D printer that is assembled and ready to work on arrival. These two elements determine the quality of the final product. Some printers can provide fine details to objects that need high precision and unmatched surface finish. FDM printers print from 100-500 micron. This means they can create thin and polished objects because of the low small unit they can produce. They usually have a minimum thickness layer of 0.005. Extrusion consists of melting and position of the materials in layers to create the 3D product. It is the primary process of the 3D printer. Most cheap printers have single extrusions which means you can only print in one color. But some have dual extrusions that allow printing of two color objects. Why we like it: It does not have extra features, but its prints are at par with those of more expensive models. Who wouldn’t like the quality of a sophisticated print but never have to cough too much money? That is what you get with the Monoprice Select Mini 3D Printer. It can print with a wide array of filament types which include PLA, ABS, dissolved PVA, conductive PLA, and metal composites. The insulated print bed is a unique aspect. Although it has an open frame, it will produce quality prints. This is all thanks to the rigid z-axis movement and the pre-installed buildtak mat. And with the hot end metal extruder, you won’t be dealing with constant filament jams. With this model, you get a high-quality color screen that is easy to read even in low light. It comes fully assembled such that all you have to do is check that the bed is leveled correctly to start printing. You will love the pre-installed models on the micro SD card that will help kick-start your designing. If you like using your computer to manipulate models and send them to the printer, you can do it with a USB cable, but if you are more of a smartphone person you can print from any location using a Wi-Fi connection. Or you can stick with the traditional SD card. We like everything about the Monoprice Select Mini. The fact that it comes calibrated and you won’t be hassling with any parts makes it all the more appealing to beginners and DIYers alike. You can count on it to help bring your ideas to life. Why we like it: It provides good printing performance for the 3D printing beginner. It can print in high quality at the highest resolution. If you have cramped space, the last thing you need is equipment that will take even more. That’s why XYZprinting has built this 3D printer to occupy the tiniest of spaces. And even at its compact size, it does not inhibit printing of modest-sized designs. This da Vinci printer showcases an open frame and a non-heated bed. It prints proprietary PLA that is made of corn-starch. Its PLA is non-toxic so you can use it to make prints for kids. It has a button that controls the level of the print which is aided by the LED lights so that you can see the printing conditions. Da Vinci has made it super easy to stay in control thanks to the Wi-Fi capability. It will connect to your home or office network to enable printing wherever you are. It includes it software which will give you access to thousands of prints on their website. The printer will also come with slicing software that will offer a stress-free method of manipulating models. The da Vinci Select Mini follows in the footsteps of the 1.0 model. 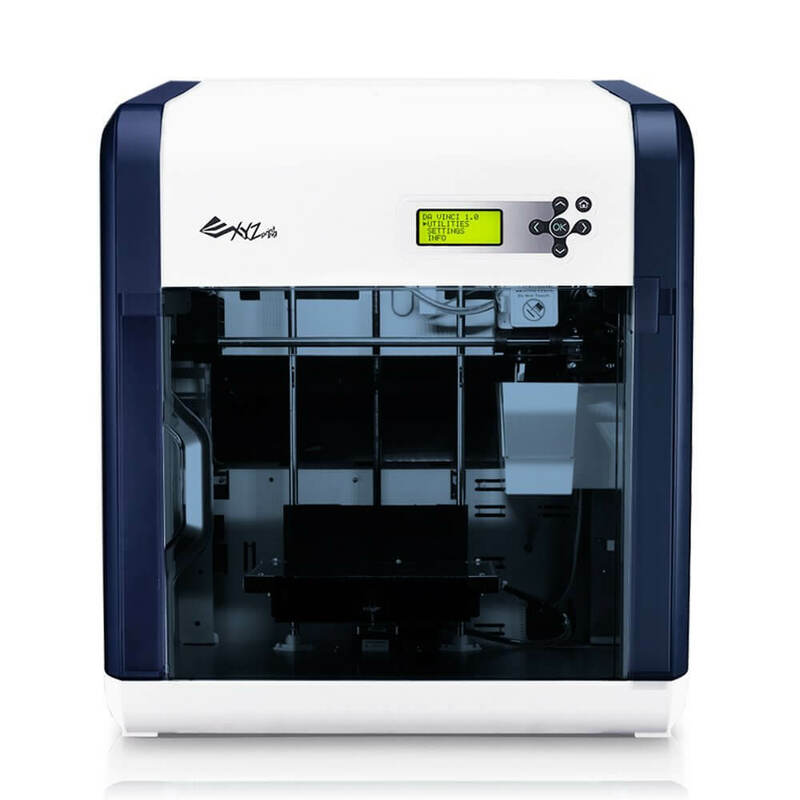 It is effortless to control, and you have numerous accompanying features like Wi-Fi connection to make 3D printing uncomplicated. Why we like it: It has a construction from quality materials, and it is easy to assemble once you follow the instructions. It is a top-performing brand for the money. If you don’t fancy measuring and soldering in a 3D printer before you get the chance to use it, then you will love the RepRap Guru DIY kit. You will still need to assemble the parts and download the necessary software. This model is valuable considering it can print in different filaments. From the most common PLA to wood, ABS, metal composites and many others via the MK8 extruder. This is because of the heated print bed that consists of a Borosilicate glass. It is highly durable, and you will notice that your prints stick better and are also easier to remove. The frame of this printer is a combination of plastic injection molded parts and high-quality acrylic. It will last in good condition for a long time so you can be sure it will be there to print personalized designs and those that you pick from favorite designers on the web. This printer uses open source firmware. You get to pick from any of the remarkable programs that will showcase your creativity. Also, it does not need a computer connection since you can just pop in the SD card and instruct it to print your desired model from the LCD screen. RepRap Guru is compatible with all operating systems. It can be used with Linux, Macs, and Windows the same. We are pleased with the print quality that even though they cannot match up to the best, they are much better than others from printers in its class. If you like building something from the ground up in a mess-free style, RepRap Guru is what you will want to consider. It will work like a charm for simplified designs, and they will look good as it supports high resolution. What better way to indulge your imagination than by creating exciting stuff? Why we like it: This printer is aimed at complete beginners. From the modest build to the easy assembly, it is an excellent pick for anyone looking to wet their feet in 3D printing. The bright colors on the new FlashForge model indicate it is not an overly complicated machine. It has this friendly look that gives you the idea it’s going to give you an easy time when using it. It is always tricky to set up a 3D printer, but the idea is to get yourself familiarized with the features because of the troubleshooting process. It is the same case with the FlashForge Creator Pro. It will set up in a few steps, and the instructions are also clear on what you should do. It even includes a smart leveling system to make the process more straightforward. Calibration is also effortless as the messages appear on the touchscreen. And it comes with a spool of blue PLA filament to get you started right away. Since it uses a non-heated bed, it means you are limited to using PLA material. This printer performs well with most objects that are of average size. You can expect smooth designs with delicate items that need a touch of fineness. With tall objects, the printer does not perform a perfect job. But it should not limit you because its prints meet the quality of the average price. FlashForge presents a machine that has a solid build. Although not made of metal, it is robust to last years in good condition. Its simplified design and non-heated bed makes it fall right into the entry-level category. We hope you will love all its thoughtful features. Why we like it: This is a plug-and-play machine with a large build volume to accommodate bigger designs. 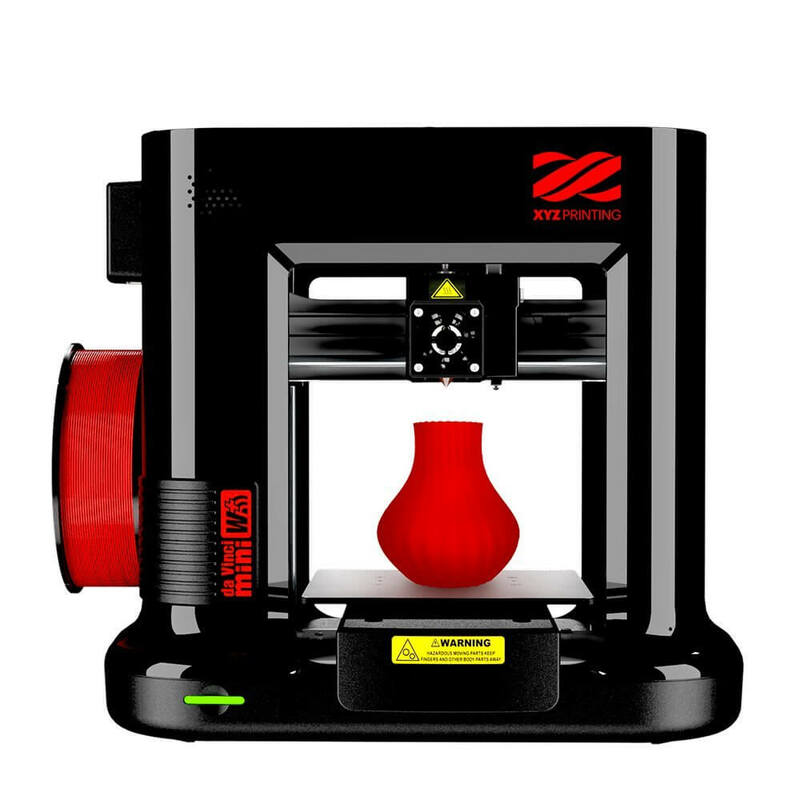 XYZPrinting Da Vinci 1.0 3D Printer has some of the most sought features in an affordably priced model. It is tailored with simple attributes that are easy to use more so for novice users. Think of creating something that is fun from the comfort of your home and picture using this printer. It allows printing with PLA, ABS, and flexible filament in many different colors. Seeing that it is an enclosed frame, you will see better prints when using ABS material. Being enclosed, your hands are protected from the heated bed. This printer will take up more room than we have seen with most cheap 3D printers. It comes with the advantage of printing bigger objects which opens up opportunities for being more imaginative. It can print a product that is up to 7.8 inches which is one of its kind in this price range. If you are a fan of modeling, you will love bringing your ideas to life with this model. It includes adjustable layer resolution from 100-400 microns. It sticks to thin layers that can create incredibly thin designs from 0.1-0.4mm. You will get both CAD and slicing software, so you won’t be buying any or using complex platforms that make it harder to complete a design. You can also print from a ton of designs on the manufacturer’s website. Why we like it: This printer is fun to assemble making it ideal for DIYers. It needs following a few instructions without any soldering or measuring. HICTOP Creality 3D has an all-metallic frame that represents a durable model. It will withstand high temperatures for long periods of time. This way it will be super easy to complete big projects without ruining the bed frame. We like that it has one of the largest builds that can accommodate both wide and tall designs. The quality of the print bed is outstanding since it is of aluminum alloy which is industrial grade. It also has a tempered glass that allows printing with different materials including wood and ABS. This printer is open source to support a variety of software including Solid-works, 3d max, Rhino 3D design, PROE, and many others. You can indulge your creative mind using the most comfortable platform and use any operating system. The LCD screen provides simple controls of the prints you upload on your SD card. It is backlit making it easy to read. The LCD is incorporated in the control box which houses the motherboard and the power supply. It is a neat setup that makes it safe to operate. 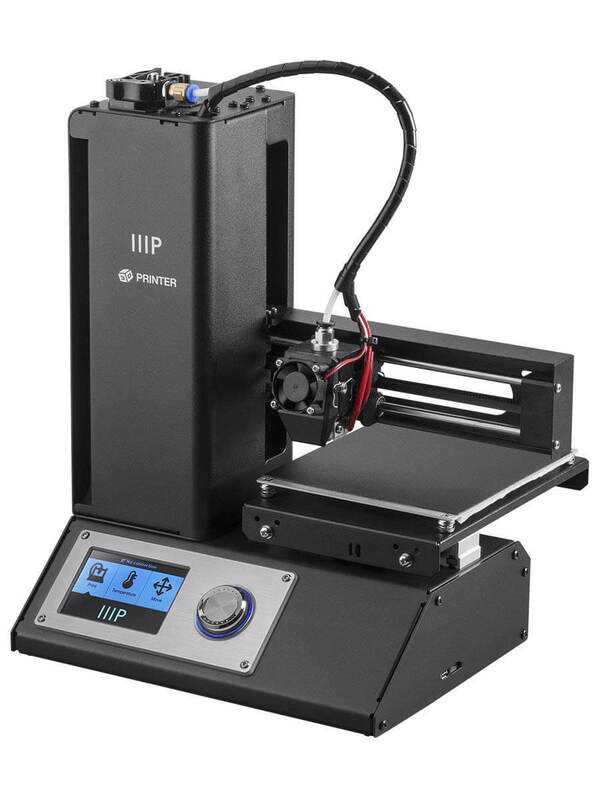 If you are looking for a DIY 3D printer that is not a lot of hassle to put together, then you will want to consider this model. 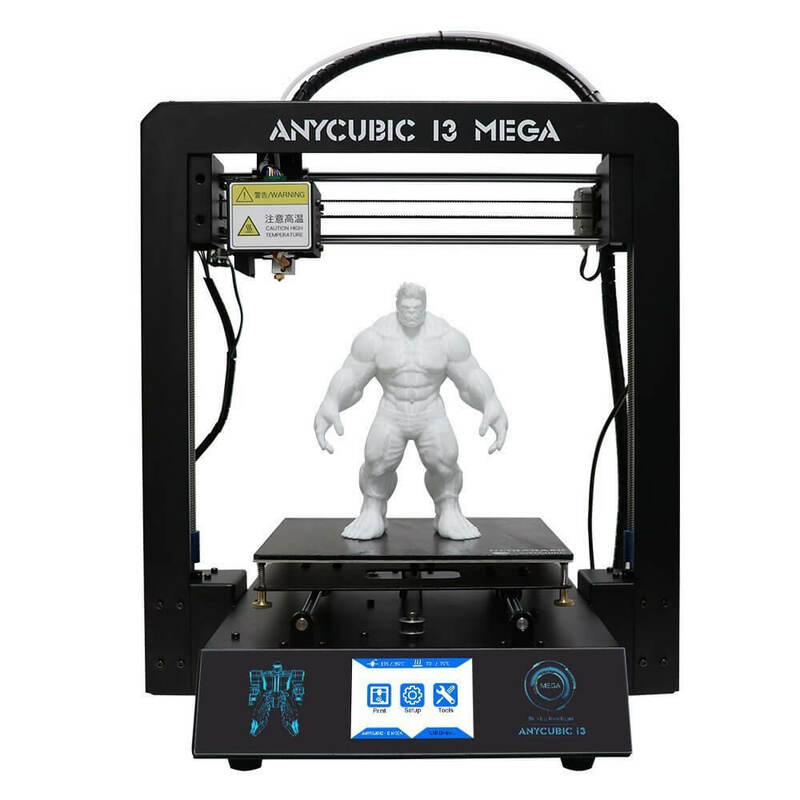 It supports large prints to make easy work on big projects. We just like how it makes 3D printing so easy. Why we like it: This is a mid-priced 3D printer that will not be too much trouble setting up and using. FlashForge is a Chinese company that has slowly warmed the hearts of designers and many DIY enthusiasts. The Creator Pro is a much better version of the initial creator thanks to its additional features. First, it is open source which means you can use it with a variety of programs. You are not restricted to FlashForge so you can go all out and create experimental designs from the brand of your choice. It accepts different filaments from PLA, ABS, and PVA filaments from any brand. With a metallic frame, this printer can withstand high temperatures and resist warping at the same time. The enclosed structure is a thoughtful feature when it comes to printing from ABS materials. This is because it will insulate them and provide proper sticking. You will like that it has a dual extruder so that you can print two-color products. The extruders can reach very high temperatures meaning you also get to use them with a variety of materials. An all-new bed design graces this printer. It provides stable vertical movement, but it will still require manual leveling. We wish it would be automatic so you won’t risk having prints that do not meet your ideal quality. Although it uses FlashForge proprietary software, we feel it would be better with software like Simply3D or Slic3r. Most users have attested to having better print quality with Simplify 3D because of the many customizable settings. If you are looking to enter the 3D printing world and have nowhere to start, then FlashForge is the way to go. It comes pre-assembled and has lots of personalization features that support present and future 3D printing possibilities. Why we like it: This printer is exceptionally stable under high temperatures. It will take even the most novice tinkerer to fall in love with the features for a very subtle price. 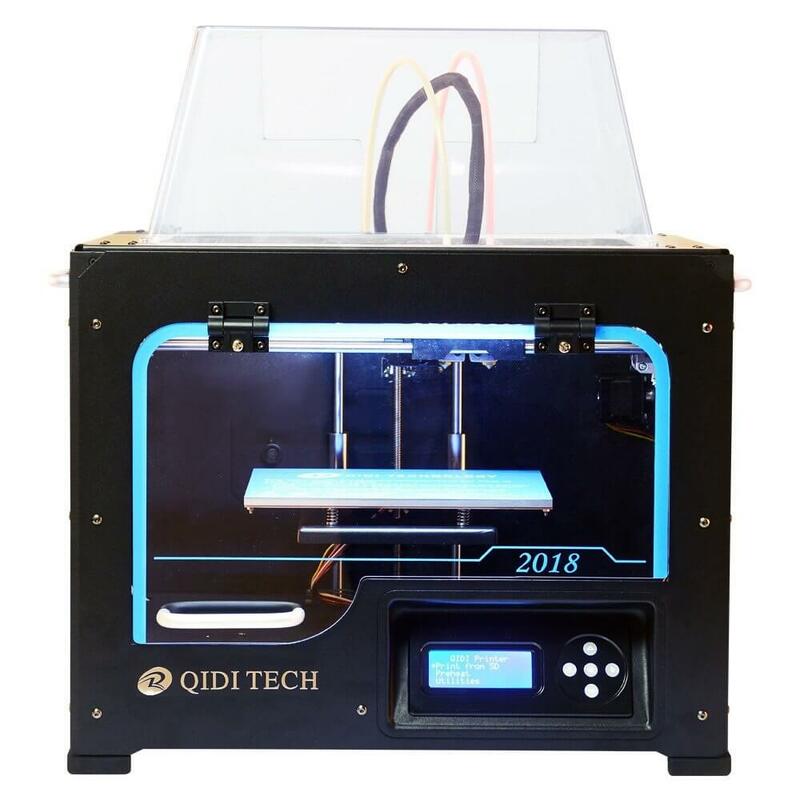 Although, an economic model, the QIDI Technology 3DP-QA16-01 is perhaps one of the most functional models, literally. It has a straightforward method of assembling that make it effortless to familiarize yourself with. In the future, you can make all the changes you need without fuss. As you can see, this model is intricately similar from the exterior outlook with our best overall; the FlashForge Creator Pro. But it offers proprietary software that makes slicing and the modeling process much easier to grasp. The full metal frame ensures that your prints are not affected by any extreme temperatures and that it will remain stable throughout the process. Not to mention, it has an aluminum plate that is aviation grade. It will never show any signs of deforming which makes it all the more useful when you have lots of print jobs to complete. MakerBot has created QIDI Technology preferred software. You can use it with Windows, Mac, and GNU/Linux computers to slice your designs before transferring them to the printer. But it is also open to using with other software like Repetier. It supports use with either an SD or USB. QIDI Technology customer support is quite responsive. You can expect 24/7 support especially if you need help assembling or using their software. QIDI Technology has proved its place in the 3D printing world. The prints are of top-quality such that it will be making your life easier. It is an excellent companion when you want to create professional pieces that you can present to co-workers like a prototype. Why we like it: It has laser engraving capabilities which only means its prints are of much higher quality. BIBO offers you versatility in that it can create and engrave designs on your products. 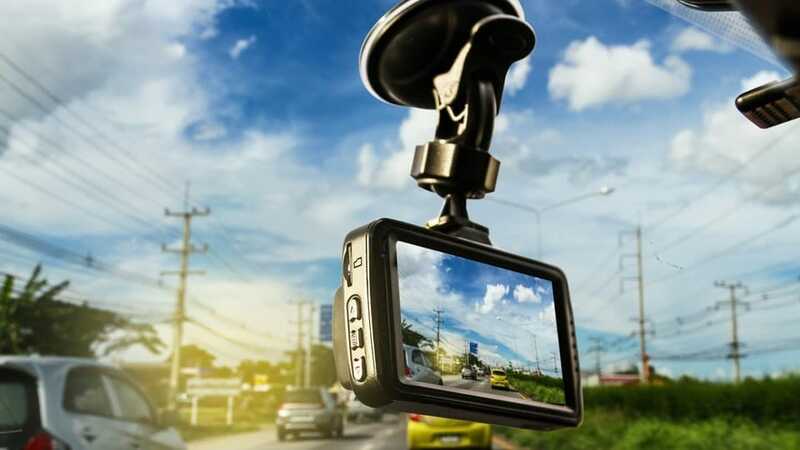 It is designed for novice users, but I am sure you will appreciate the extra features if you are an expert. It supports two-color printing, and you will like the quality of the prints. This model does not need much assembling. If you are all about getting your printer and getting your designs right way, you have every reason to get this unit. The dual extruders make it easy to print support structures, and it also supports copy printing. This will allow you to finish projects much faster and achieve even more. The laser engraving feature is a unique aspect of this printer. You can use it on wood, paper, leather, and plastic to help personalize your designs. The laser can also cut thin materials which will come in handy when dealing with plastic. BIBO includes some pretty intuitive features. The heated glass bed is removable from the frame. It is useful when you want to remove large models that can be complicated to deal with when the print is still in the enclosed frame. Controlling this printer is effortless. It has a full-color touchscreen to give you simplified operations. Not to mention, it can connect via Wi-Fi such that you can operate it using your PC or on your phone. You will appreciate that the printer automatically detects when it is out of filament, and it stops printing so that you can load in a new spool. 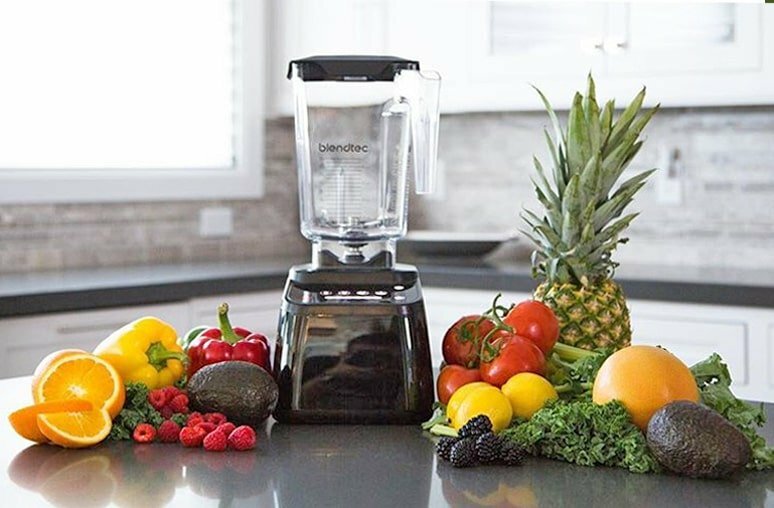 BIBO has a host of features that all line up to give you a sophisticated machine. It can customize designs and also print with different materials. It can maintain even heat during printing, support copy printing, and also print in two colors at the same time. 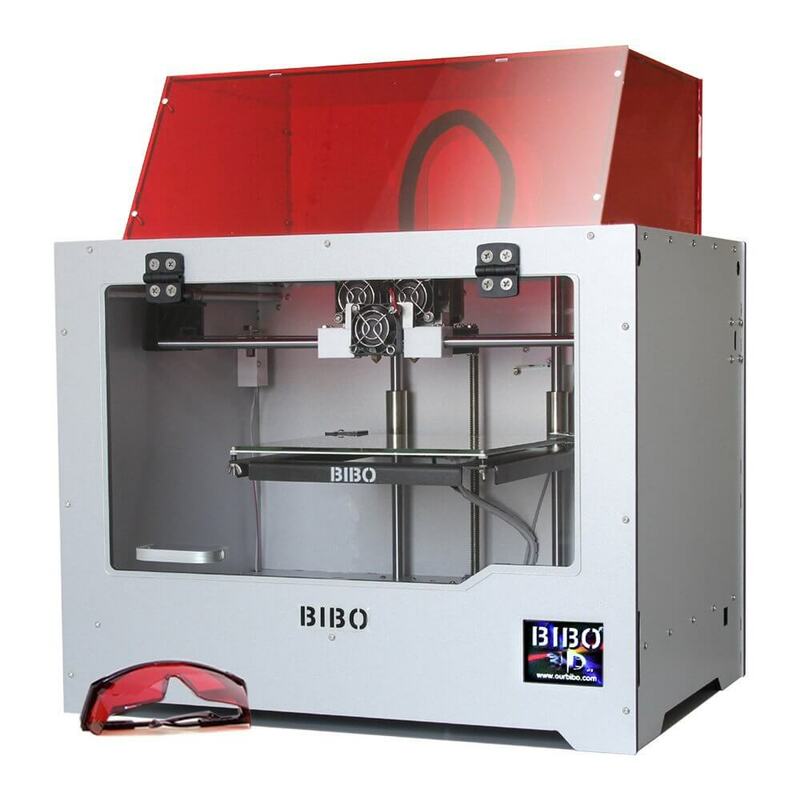 It will be an enjoyable endeavor to create with the BIBO 3D printer. Why we like it: It is small, but it can print finely refined products. The printer will fit nicely in tight spaces. 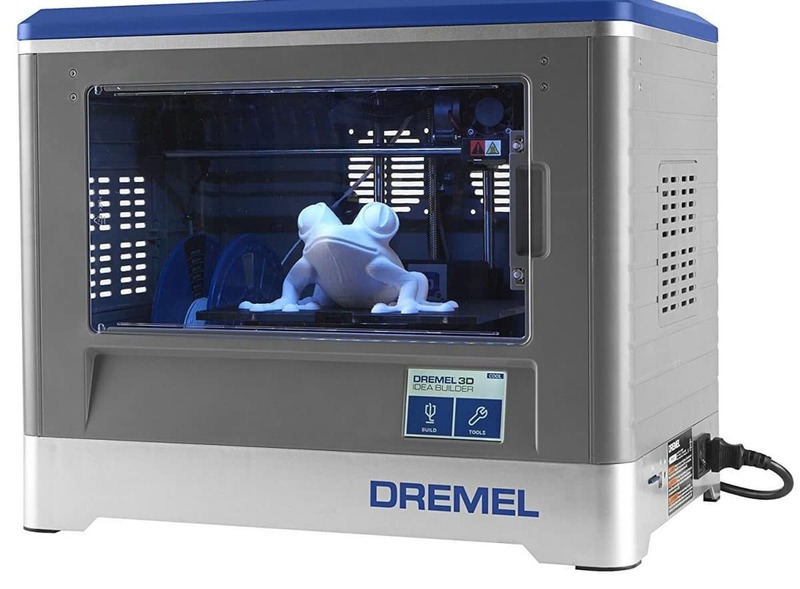 Dremel Digilab is a self-contained 3D printer that will work right out of the box. It is built to provide quick prints of small products which will is why it targets schools and hobbyists. You might be wondering what Dremel Digilab is all about, but it is actually a product from Bosch. 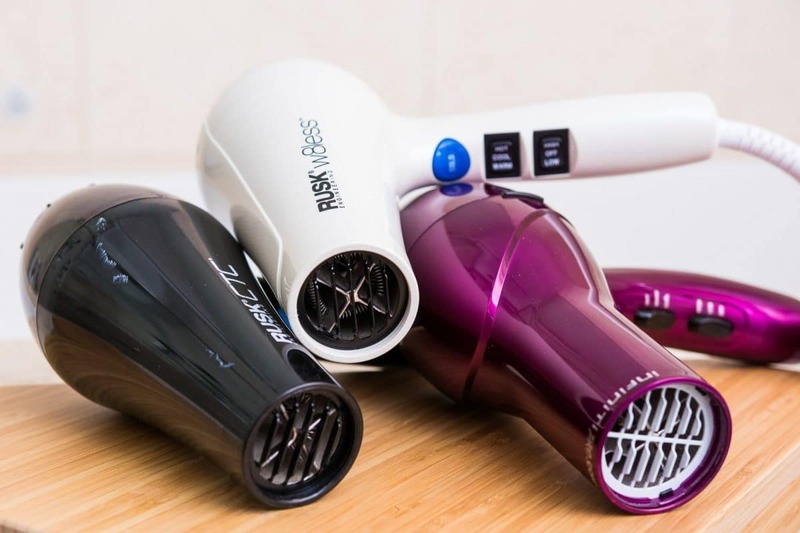 This is a renowned brand that has a reputation for making efficient products. This printer uses a non-heated plate. It will only print from PLA. This material is derived from plants which makes it biodegradable and friendly to the environment. Its PLA filament is non-toxic which makes it easy to use around kids. 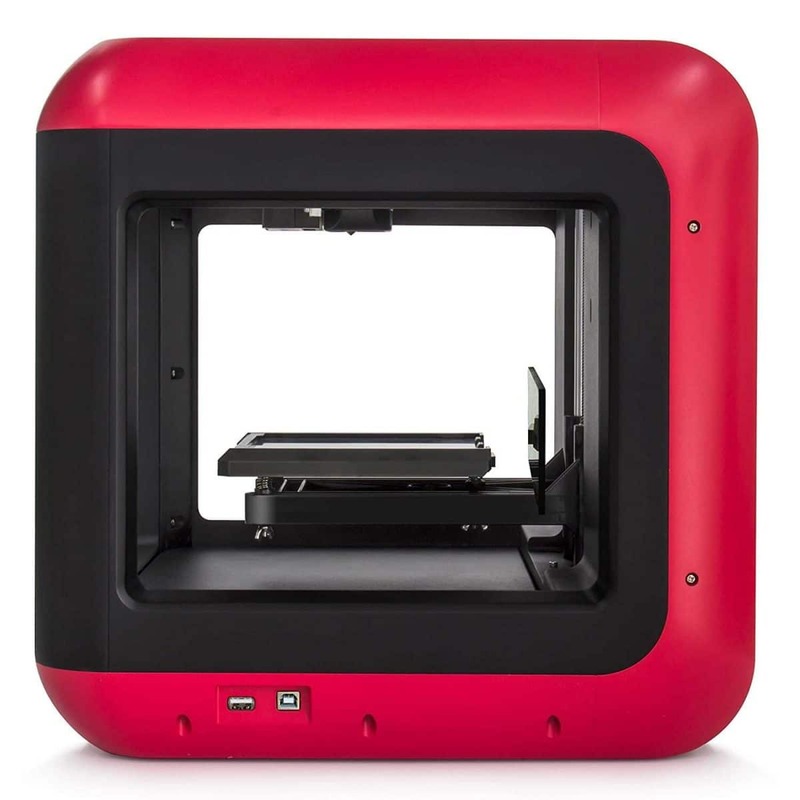 Like our other printers under $1000, it has an enclosed frame which is suitable for simplified designs. You will be able to create lots of educational toys at home and at school. And since you will be working with small items, the printer will work fast. This printer comes with simplicity in mind. It has a touchscreen interface that will offer a simple way of controlling your models and accessing designs on an SD card. It uses CAD software that is straightforward to use when creating new designs. We are happy that Dremel Digilab takes customer support seriously. You can reach out to them and get all your questions answered via their website. It is a nice touch when you consider all the worries that come with working with a 3D printer. 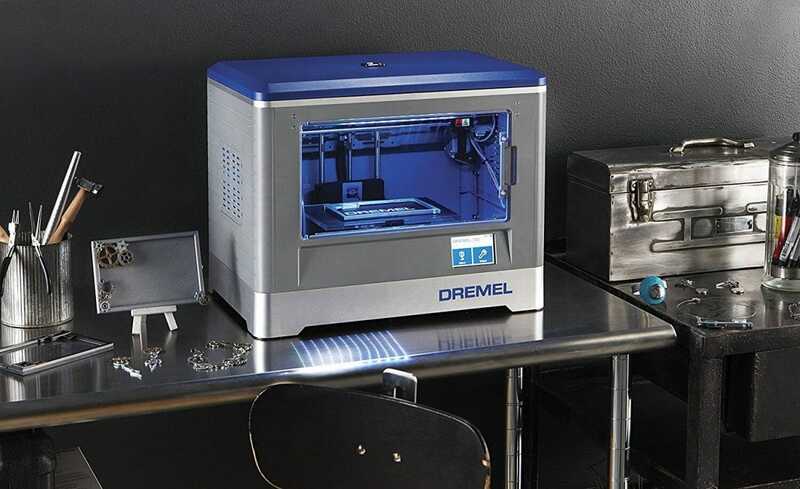 Dremel Digilab is an easy-to-use machine for use at home and school. Its small and enclosed frame means it will occupy little spaces and create simplified designs with less effort. You will appreciate all the unique features including its non-toxic PLA filament. 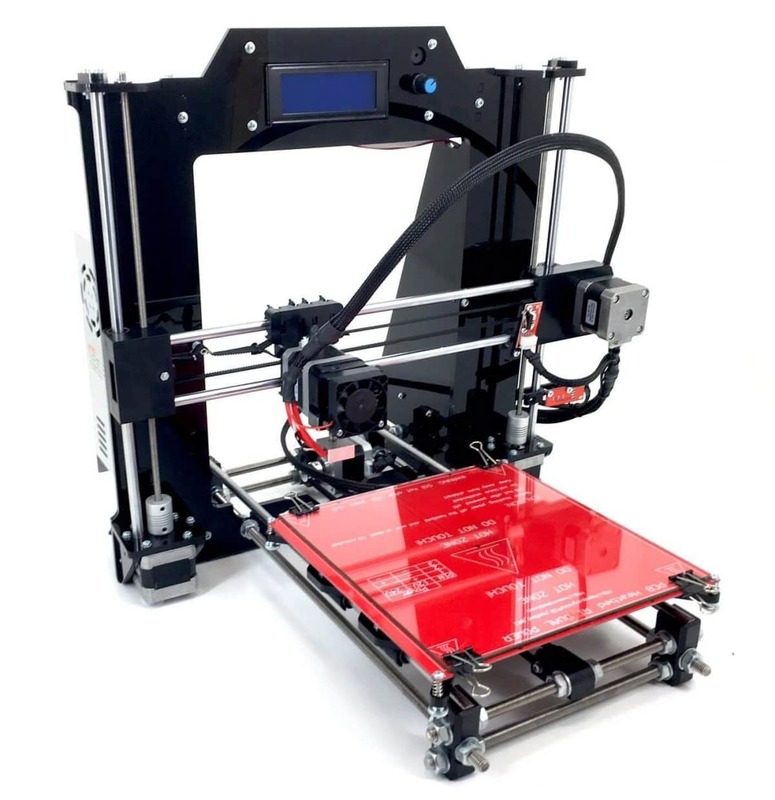 Choosing a 3D printer is never easy especially when looking to purchase a cheap model. Here, we go through the essential features and consideration to keep in mind. The whys in a 3D printer will help put a lot of questions to rest. It is crucial to have a clear why as it varies from the desire to showcase your skill on a passive level to being able to print educative tools or printing prototypes.A hobbyist printer may be much smaller than if you are getting one for commercial use. When the why is out of the way no you can deal with specific features. Many 3D printers will need some level of setting up. Some will be simple while others are complicated and only need to be left to the tinkerers. DIY kits need to be assembled which will be a lot of work since manufacturers do not need to level or calibrate the unit before shipping. They may take long hours which can be frustrating if you are not excellent at building stuff. It is quite obvious but the larger the built platform, the larger the objects it can create. Cheap 3D printers are not the best for big prints mostly because of the use of FBM technology. In this case, you are looking to have less complicated designs that will not take too much time to complete. LCD screens are always a welcome feature for simplified controls. All you need is to tap in the instructions to start printing. You will also encounter other displays including LED and touchscreen that will all come in handy while operating the printer. This involves both modeling and slicing software. 3D modeling software creates the designs that you will use in printing. It includes software like 3D slash, TinkerCAD, SketchUp, Blender, etc. They provide the proper platforms and advanced features that give your designs the best specs. Slicing software help in the execution of a 3D print. This is by slicing the model that you created into layers that turn into an STL file or G-code. You will get other settings like for the temperature which makes it easy for the printer to print the exact object. Slicing software includes Simplify3D, Repetier, NetFabb, Craftware, etc. It may not seem obvious, but cooling fans are essential when trying to maintain the ideal printing temperature. Active cooling will provide improved features on the prints which result in smoother and finer edges. 3D printers mostly print from computers using a USB cable. But with advancements, these printers can accommodate SD cards and also Ethernet cables. You may also find more advanced models that can connect via Wi-Fi to enable printing from smartphones. A heated print bed is preferred if you want to print with many different filaments. But if you are comfortable with PLA only, a non-heated bed will be all you need. For heated beds, you will need to watch out for warping due to high temperatures. A heated bed also provides excellent adhesion of the print to the base. It will, therefore, be handy with most plastic that needs a sturdy foundation. Here you are looking at features that are not common in our budget but are significantly helpful if you find them. From laser engraving capabilities to copy printing, removable beds, automatic leveling, and factory calibration. You will be happy with a few extra attributes on a cheap 3D printer. 3D printers have now become affordable. 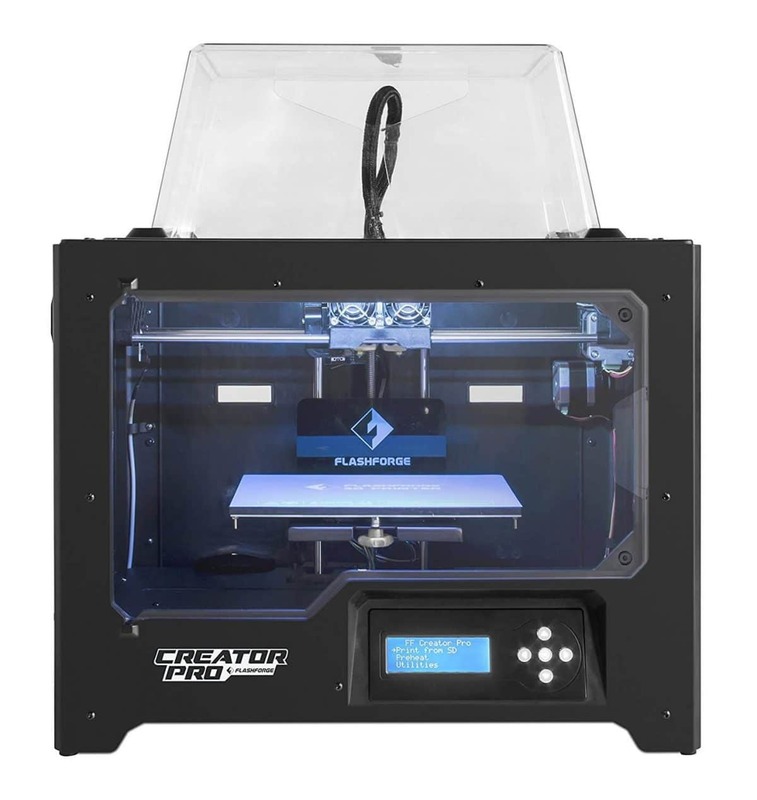 You have no reason not to explore your passion with one of our Best Cheap 3D printers. These models have high-performance features that are designed to produce quality prints. You will find DIY kits, 3D printers for beginners, schools, home, and entry-level models that are pleasing from the very start.